We offer a broad range of Safety solutions. Categories include Hand, Eye, Ear and Respiratory protection; Fall protection; Safety wear; Safety Signage; lockouts, matting, fire protection, storage and containment products, welding safety supplies and ladders. We are a 3M Premier distributor with a Certified Specialist on hand to provide expertise. We offer high quality products with lines including 3M, DBI, Protective Industrial Products, Seattle Gloves, Louisville Ladder, Kimberly Clark, Ergodyne, Honeywell Safety, Master Lock, Moldex, Wearwell, Radians, Tingley Rubber and Wear. 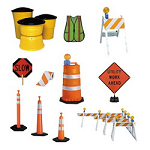 Other lines are Revco Industries, Pyramex, Kidde Safety, Safety Zone and Oil Dry products. The customers we serve in this area include the following industries: Electrical Contractors, Commercial and Institutional Building Construction, Cabinet and Countertop Manufacturing, Roofing Contractors, Building Equipment Contractors, Plumbing, Heating and Air-Conditioning Contractors, Chicken Egg Production, and Motor Vehicle Body and Trailer Manufacturing.